pluriSelect Life Science is a german biotech company that invents develops and produces new technologies for your scientific issues. 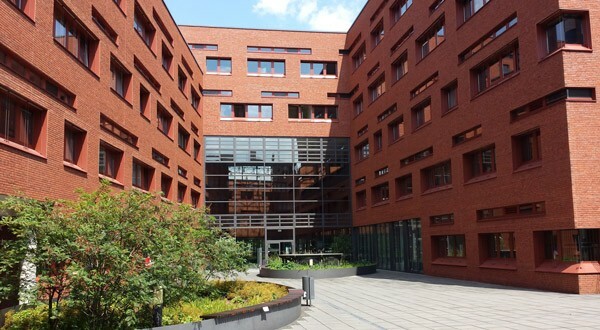 Our head office is based in Leipzig. We invite you to use a variety of support options including individual online chat support, tutorials, online video tutorials and customizing services. Our team of experienced highly trained staff help you finding the products for your need, advise you on your purchase or deal with any problems that might occur while doing your experiments. Our customers are located worldwide. Using an international acting logistic allows us to deliver your order super fast. For example customers from Australia (distance between Leipzig (Germany) and Sydney (Australia) of 16.186km) will receive their items three days after sending the purchase order. Usually we ship orders with an invoice. Pay after receipt of products via bank transfer, credit card or paypal. To create a highest level of trust for you - we trust in you. If you are unable to order directly at pluriselect.com or via mail, phone or fax we have a list of merchants and suppliers selling our products. pluriSelect designed and produces new magnetic racks for the handling of magnetic microbeads. The holder make an excellent complement to the upcoming pluriMag products (containing magnetic beads) from pluriSelect. pluriSelect adds Mini Strainer and Uberstrainer to the product portfolio in order to allow a more flexible sample filtration. pluriSelect provides now the biggest variation of cell strainers. pluriMate makes density gradient centrifugation a simple task. The key feature of pluriMate is the porous sponge which prevents time-consuming and laborious overlaying of the sample material with the separation medium. pluriSelect launches new website with better user experience and a modern design approach. pluriSpin was developed for adding a reliable negative cell isolation alternative to the existing product line pluriBead. Unwanted cells are being removed by a simple density gradient centrifugation. pluriSelect developed 4 different media for density gradient centrifugation. These allow for the isolation Leukocytes (WBC), PBMC or Platelets. The positive cell isolation method pluriBead was expanded with veterinary antibodies of bovine, canine, goat, hamster, horse, porcine, rabbit, rat and sheep. A second size of pluriBead® was introduced in order to catch large numbers of targets in small sample material (e.g buffy coat). With 2 pluriBead sizes available it is possible to build a cascade when performing a pluriBead isolation. This way you can catch multiple cell types with just one isolation. After 3 years of development pluriSelect introduces a new cell isolation technology pluriBead®. pluriBead is a unique cell separation technology that works without any magnetic components.